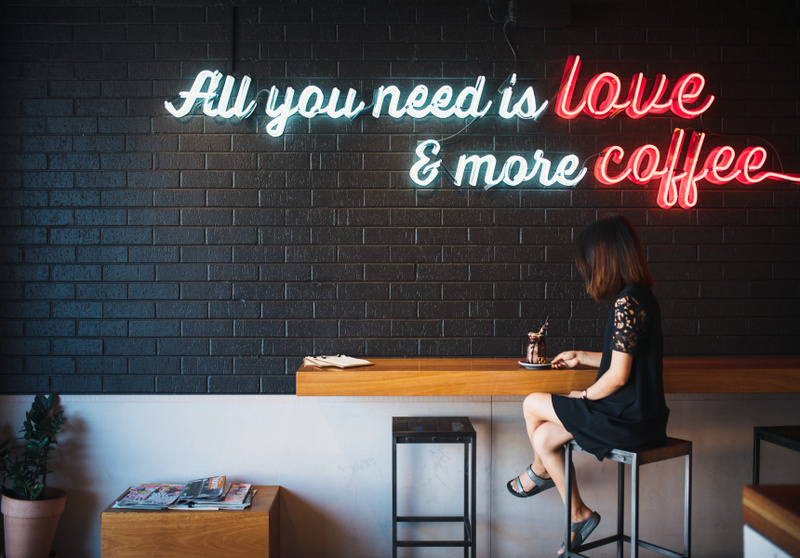 “All you need is love and more coffee”. Lit up in neon, this message welcomes you inside Little Alley, a warm and cosy cafe located on a quiet one-way street. Owner and former flight attendant Alice Chen describes herself as an avid cafe-hopper. 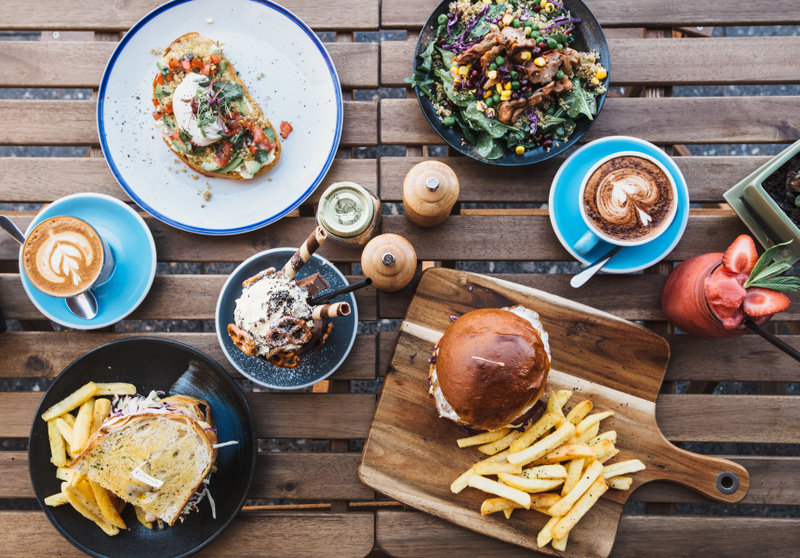 After years of travelling to inner-city suburbs like Newtown and Surry Hills, and even as far as Melbourne to try new and exciting spots, she decided to open her own local. Chen took inspiration from her own name when designing the interior of her cafe. As she didn’t have much space to work with, the narrow entrance acts as a rabbit hole that opens into the seating area, where the walls have been painted in an Alice in Wonderland-themed mural. The menu is lengthy to ensure variety, and encompasses housemade sweets and other home-style recipes. The chef used her experience cooking in five-star hotels in Thailand to create the menu. 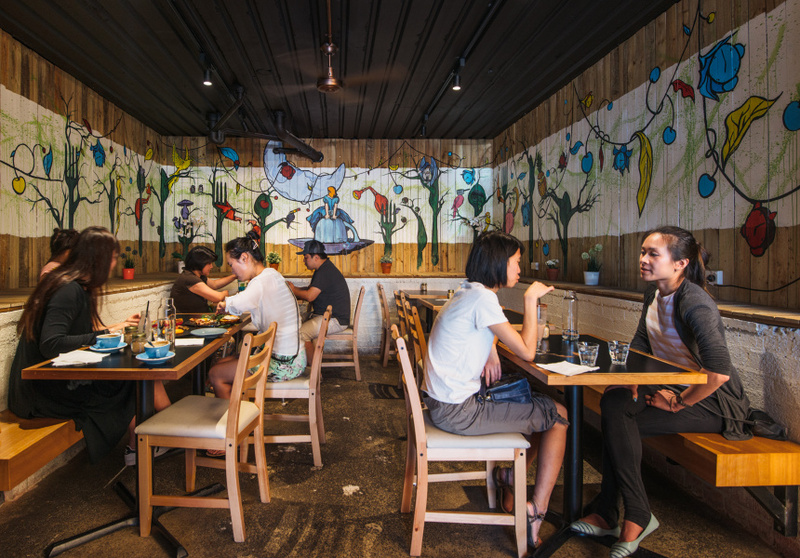 Little Alley’s signature dishes include the green-curry chicken burger and Mexican bibimbap. This fusion trickles right down to the drinks menu, the most notable being the matcha white-chocolate mocha. Coffee is by Single O and teas by Tea Craft.